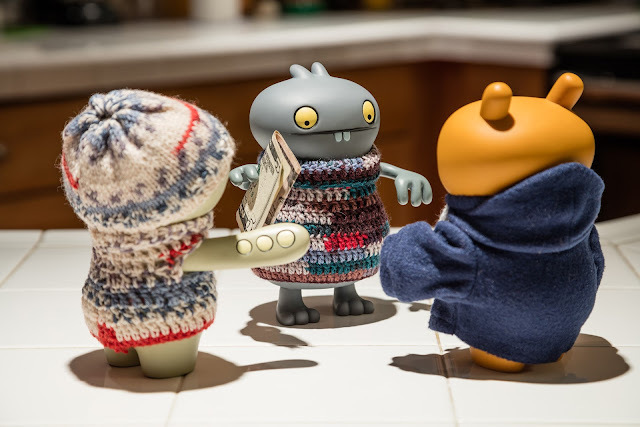 Cinko: "Babo, we saws you stealerings the twenties bucks from Baz's walleter, it's nots rights!" Wage: "You shoulds knowers betterer Babo, now givers the moneys backs befores this gets any worsers!" Cinko: "Oh noes, he's alreadys blowereds mosts of its!" Wage: "Gives it to me Babo, rights now!"